Utah Valley Church is a Christian church in Spanish Fork. You can find out more on our doctrine and beliefs page. We meet each Sunday at the Angelus Theatre in downtown Spanish Fork. 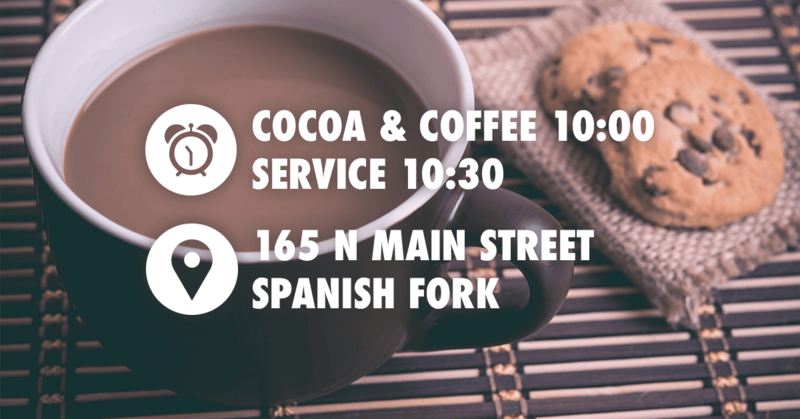 Cocoa and coffee is served at 10:00 a.m. and the service begins at 10:30 a.m.. Visit our locations page to find out more or call us at (385) 220-2624. More About UVC Contact Us!